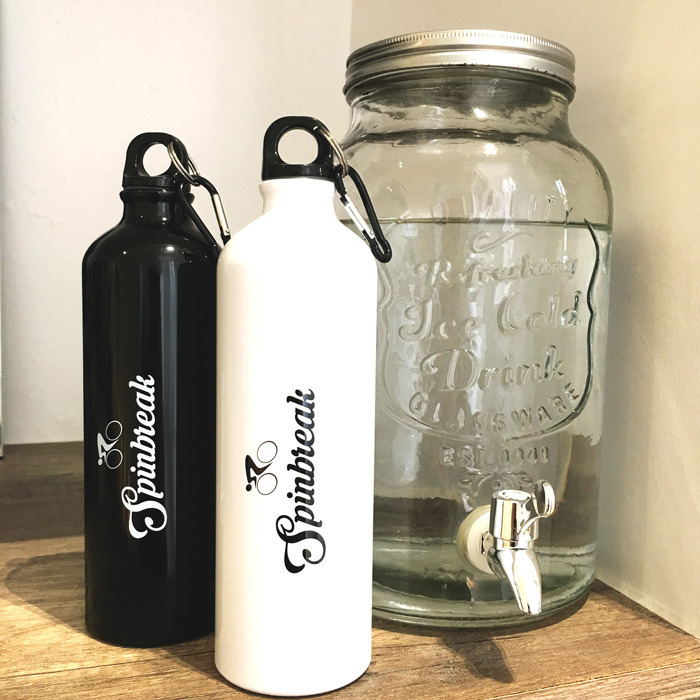 To help promote our endeavours to reduce the use of plastics at the studio, we have replaced the plastic water bottles we offered with high quality, reusable (and very stylish!) aluminium ones. With more than 20 classes a week, and more than 1 bottle of water offered during each session, it meant we were recycling a lot of plastic each week. Thats why we decided to provide these new aluminium ones to our members during each workout session. If you prefer to have your own, they are for sale at the reception desk for €15- in a chic black or white colour combination.